Our annual Make a Difference Awards are about celebrating inspirational children and young people. 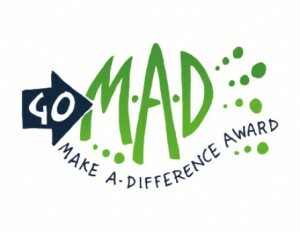 Have you considered nominating a young ​person in your Company for a Go MAD Award? We all know children and young people (5 to 19 years old) who make a significant difference in the lives of others. We want to recognise commitment through the Make a Difference awards to acknowledge, encourage, reward and most importantly promote the positive achievements of our young people. Nominations for the award are open until end of June 2017.